Fifteen-year-old Vernon narrates the plot involving a school shooting and death-row reality TV shows with a cynical twang and a four-letter barb for each of his townsfolk. 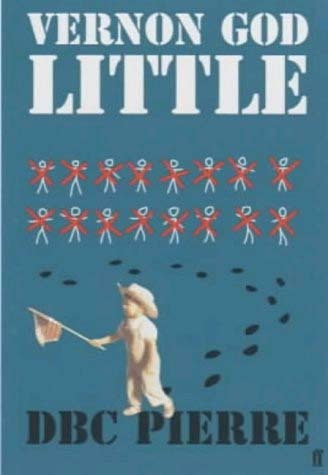 Vernon God Little might be the most vicious satire of American life to come out of England since Martin Amis' 1985 Money. Set in a small Texas town where residents' dependence on fried food and television has transformed them into oversize lemmings, the book puts an astute if needling finger on the scary collusion between entertainment and law enforcement in American culture … Martirio is a town painted with cartoonish stereotypes and scatological broad strokes....In the process of ranting about his town and family, Vernon beautifully mangles language into his own crude idiom. He complains about becoming a ‘scate-goat’ for a crime he did not commit, and worries that the ‘paradime’ shift that a sketchy TV producer promises him will actually put him behind bars. Mexicans are ‘Meskins,’ Timberland boots become ‘Tumbledowns.’ Even funnier, however, are the metaphors Vernon uses, most of which are too colorful to cite. Vernon God Little rockets along for five acts of tragicomedy, as Vernon finds himself at the center of his town's lust for retribution, the center of attention for the first time in his short life. He was not in class when the shooting started. He is as innocent as the day is long, but has a few things he wouldn't like to say in public about his whereabouts. 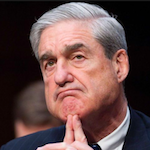 This will become his crime, or at any rate the proof of his inchoate guilt … The writing is simply terrific. In much the same way that noir novelists like James Ellroy seem steeped in the rhythms and textures of jazz, there is a jagged, punk-rock sensibility to Pierre's prose, absolutely his own. Plot aside – and there is much in this novel to keep the reader turning pages – Vernon God Little is just plain fun to read. What did you think of Vernon God Little?